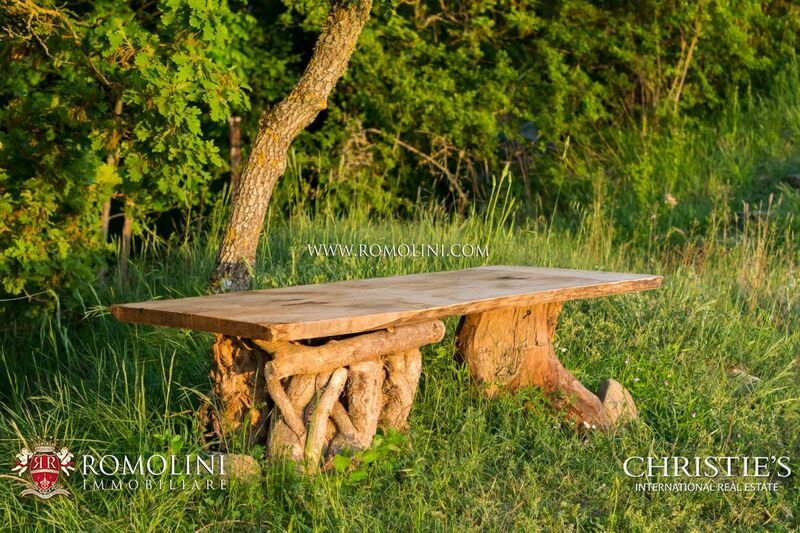 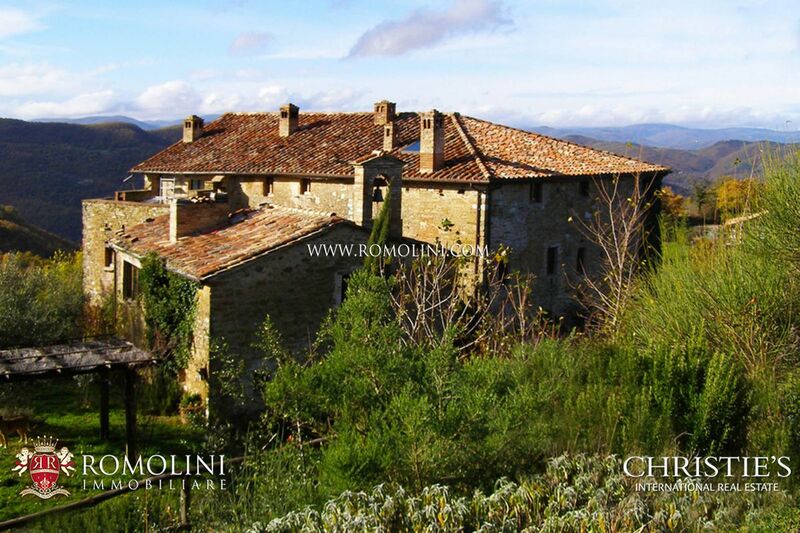 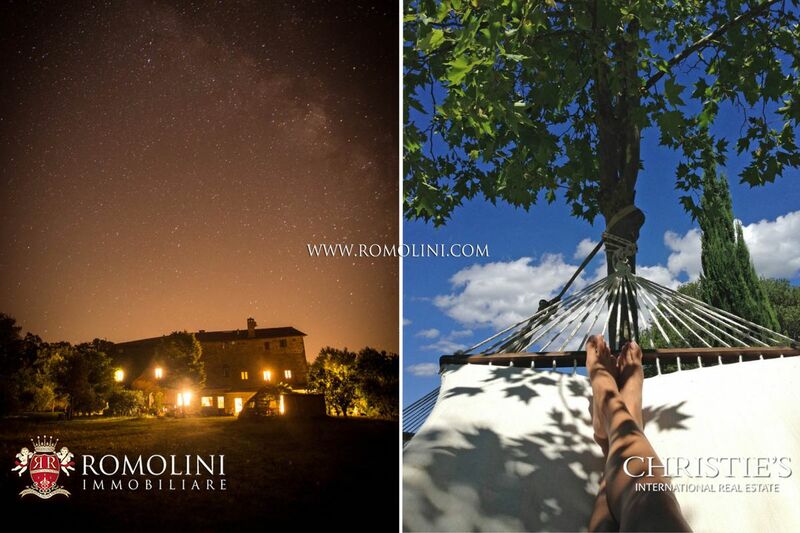 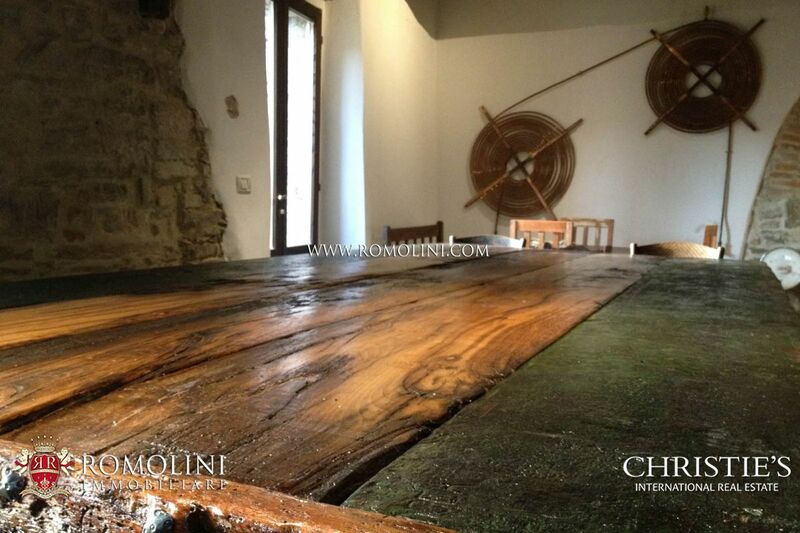 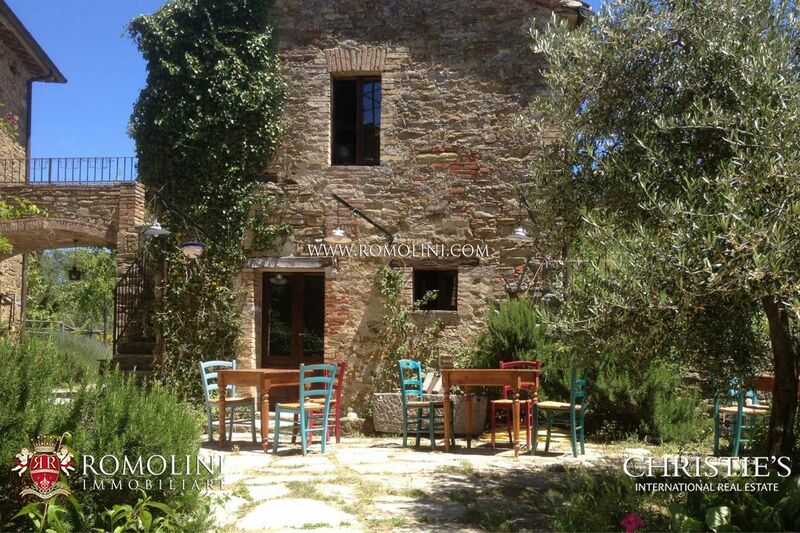 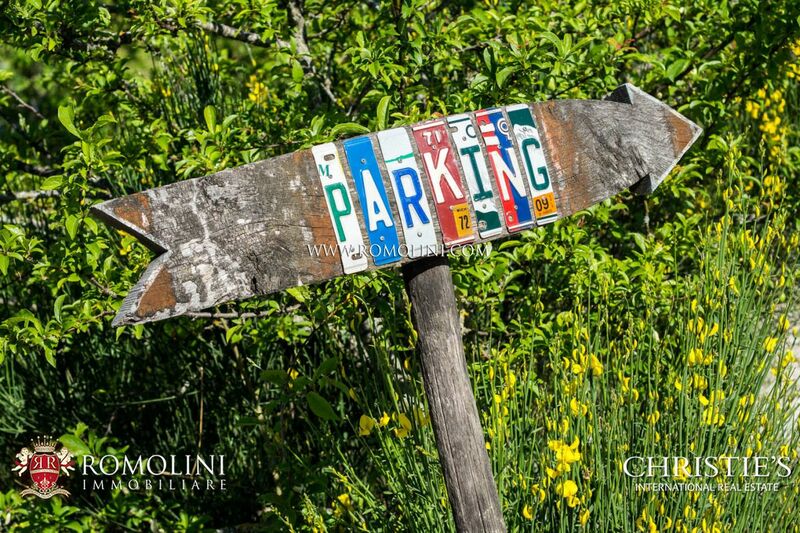 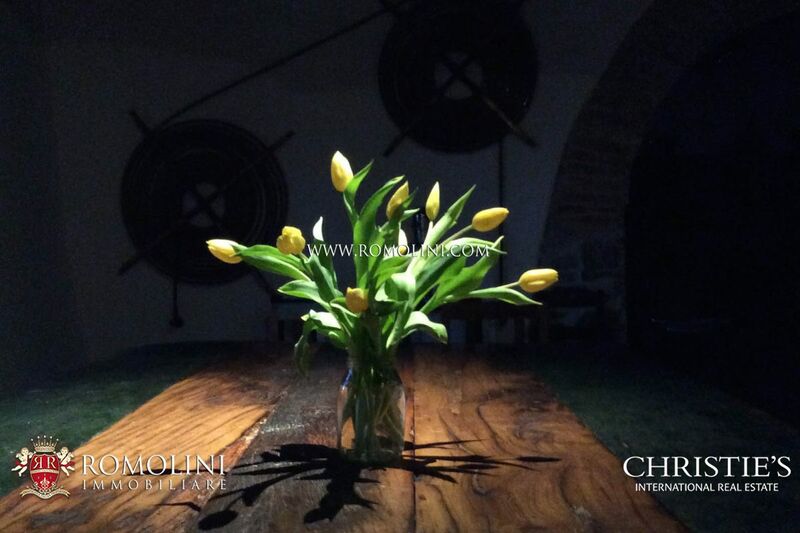 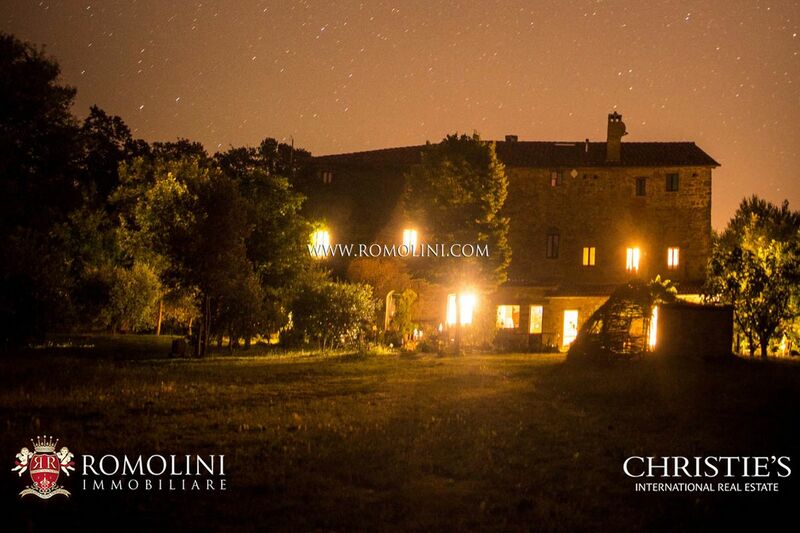 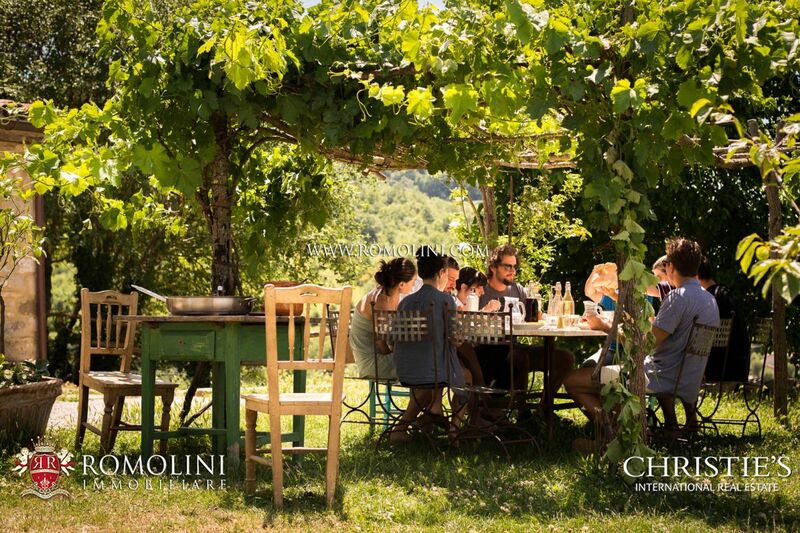 Right at the border between Umbria and Tuscany, the green heart of Italy, sustainable hamlet with 39 hectares of land. 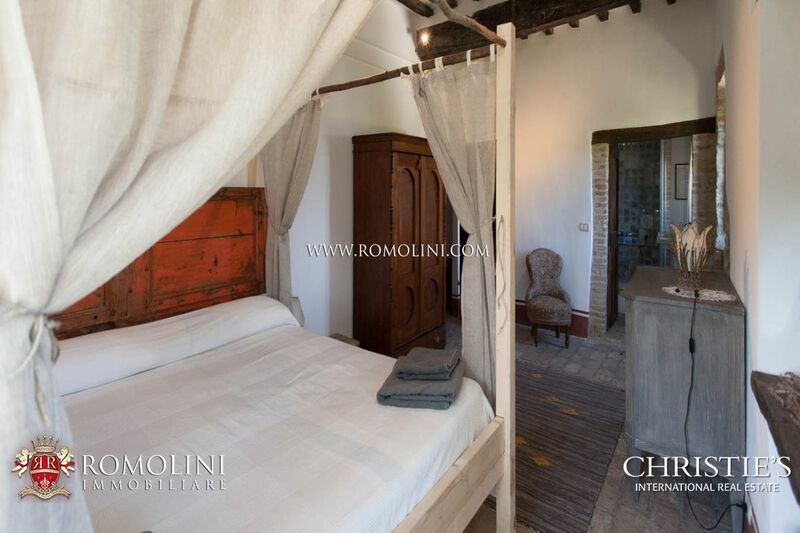 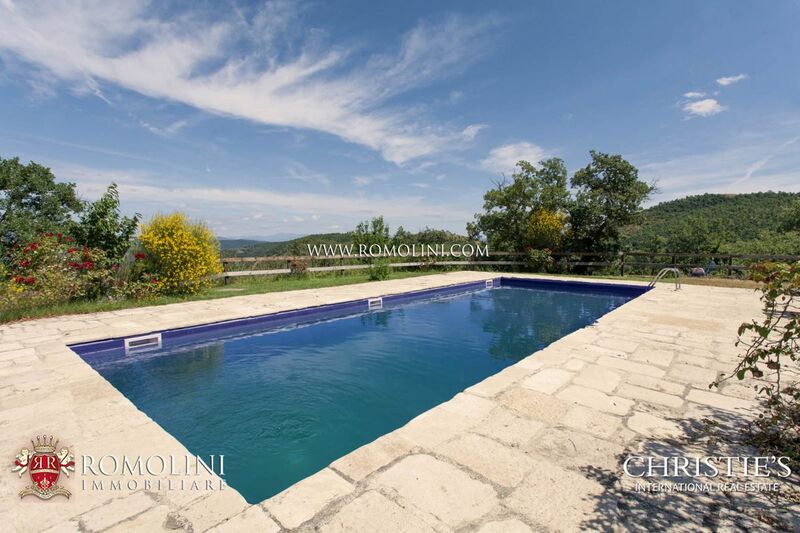 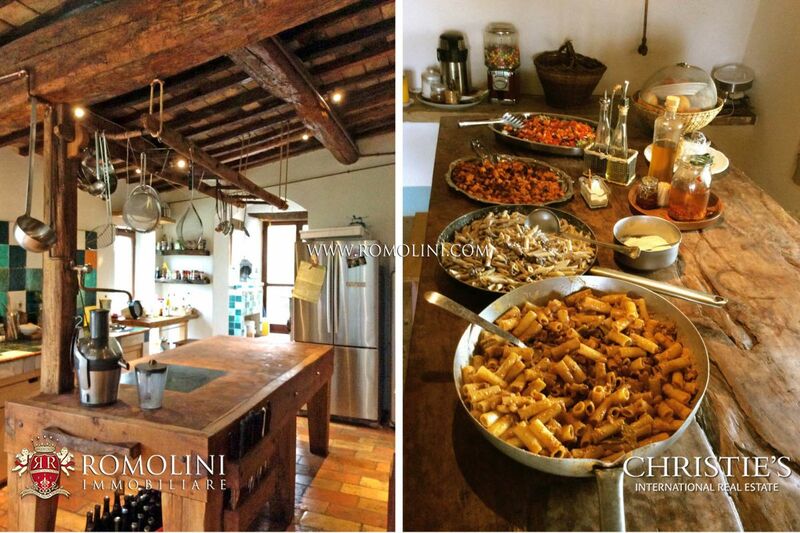 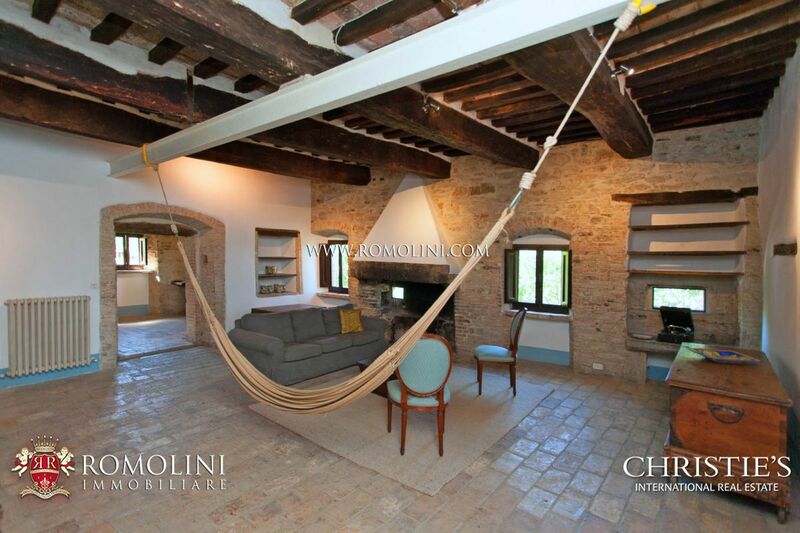 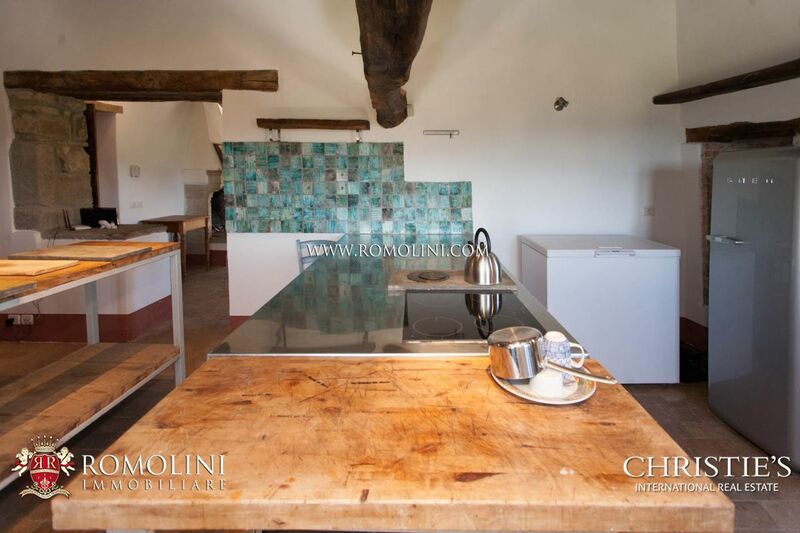 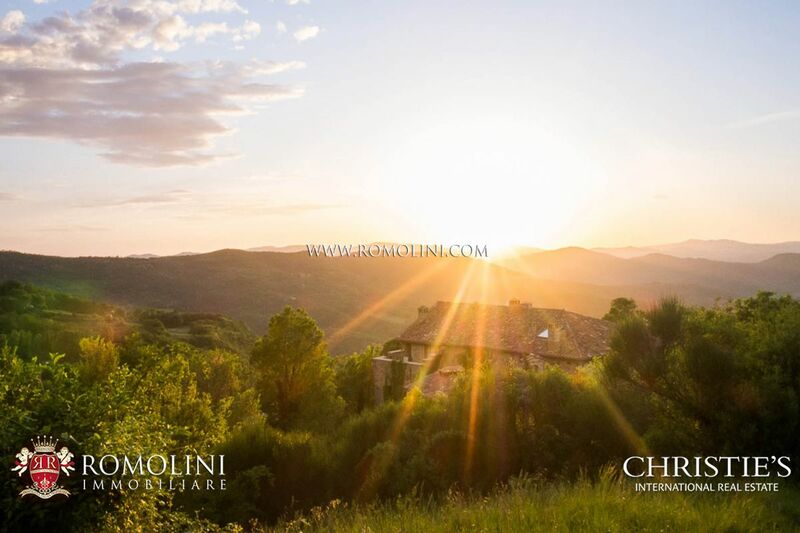 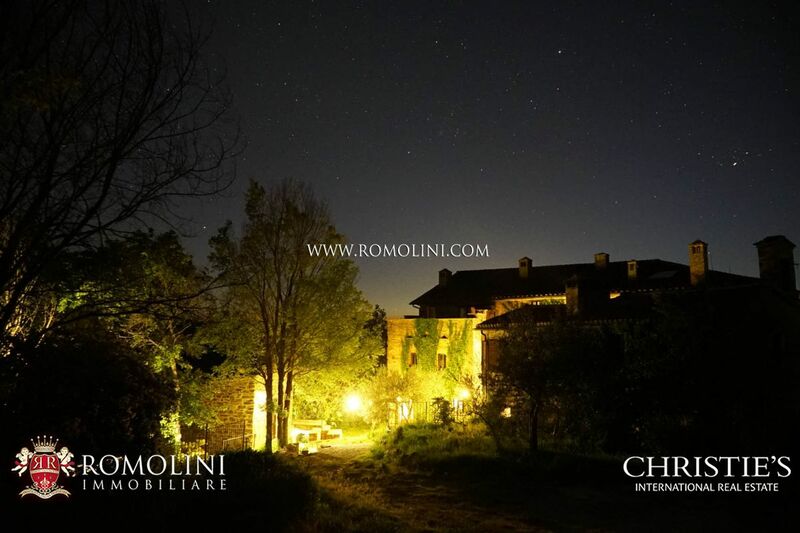 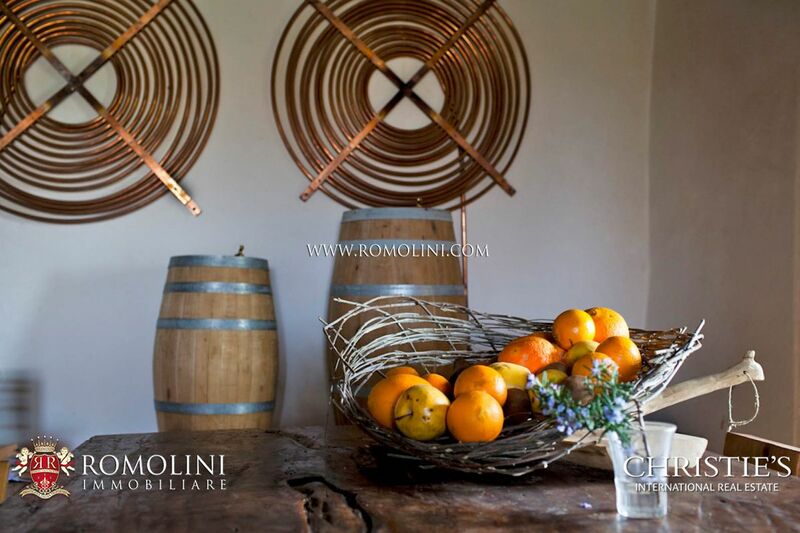 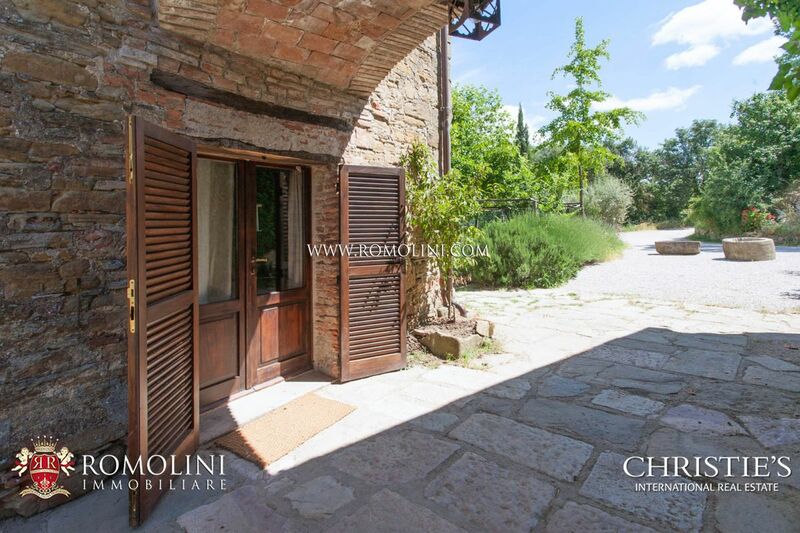 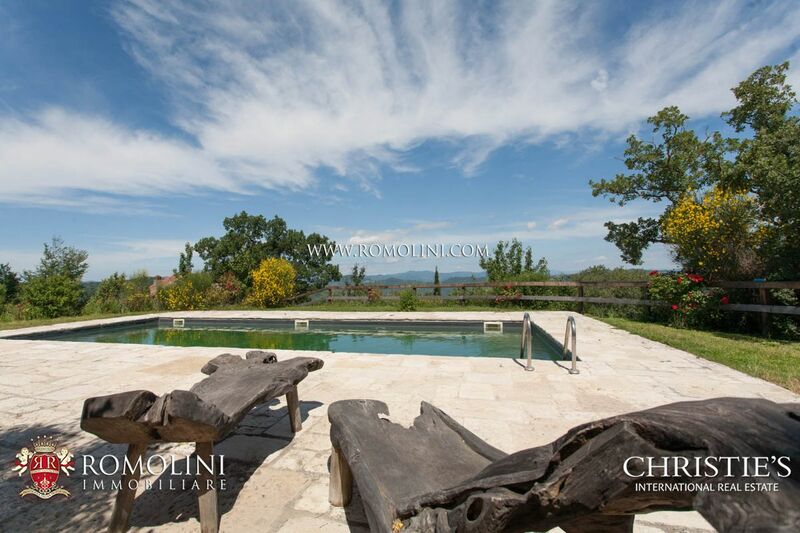 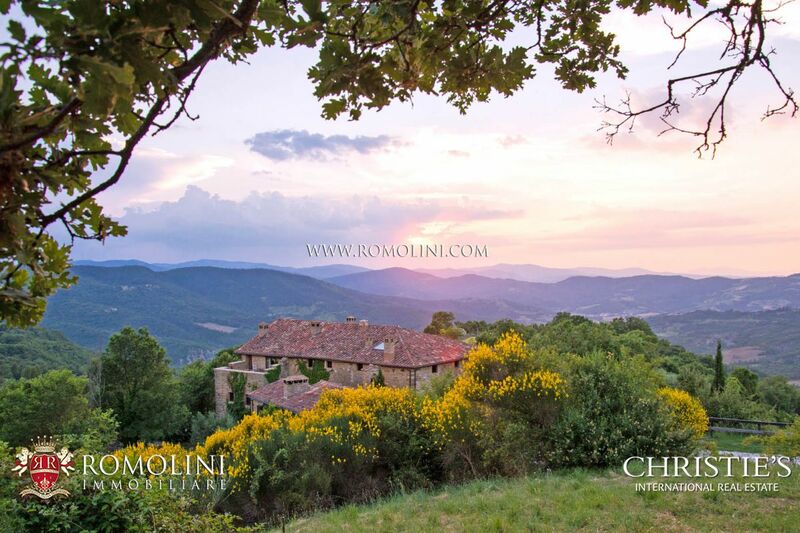 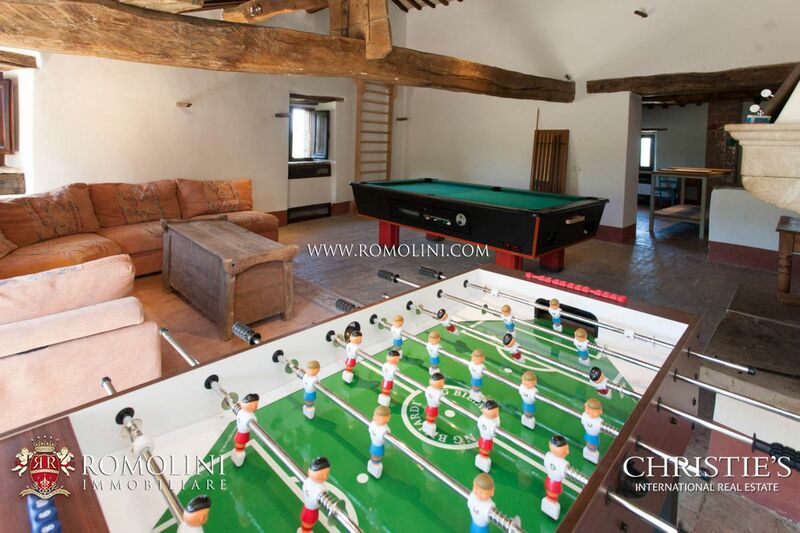 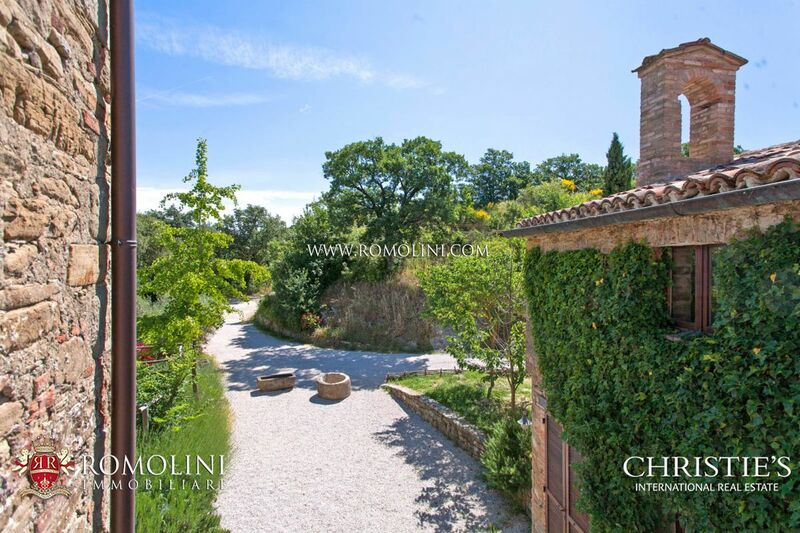 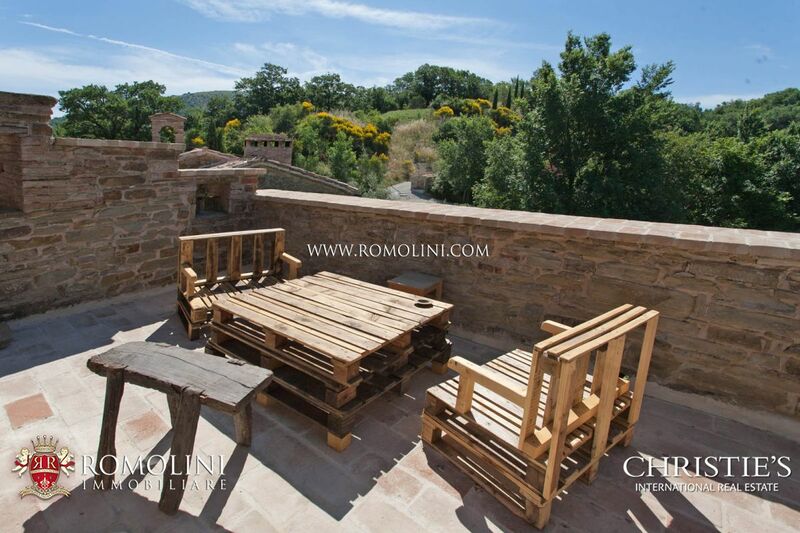 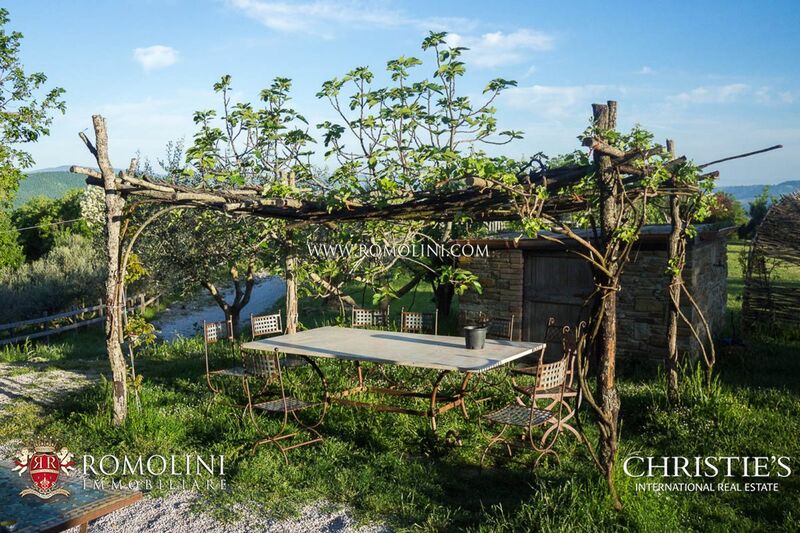 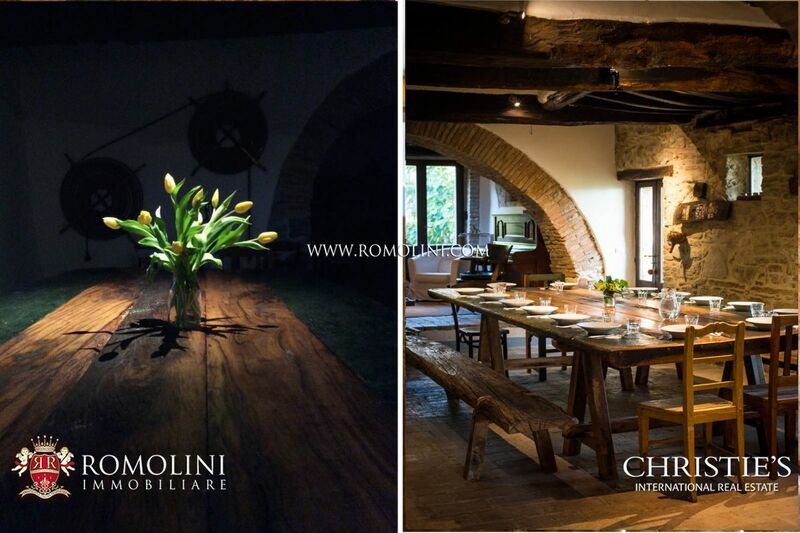 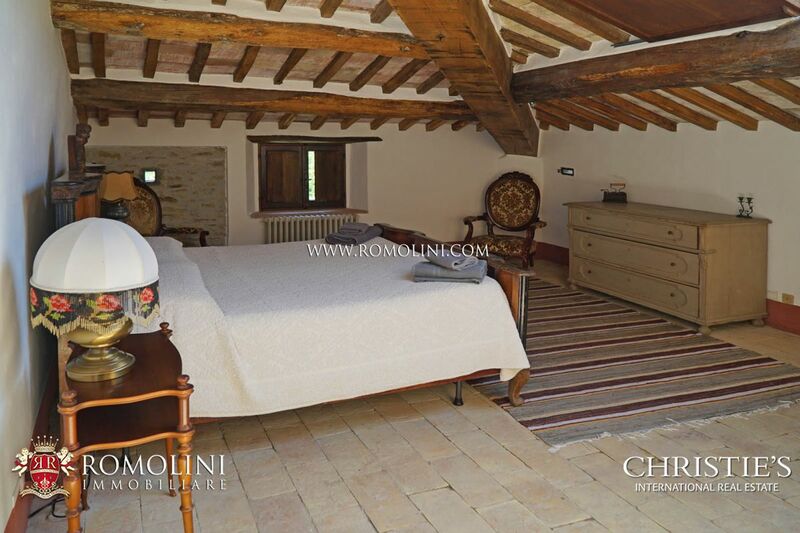 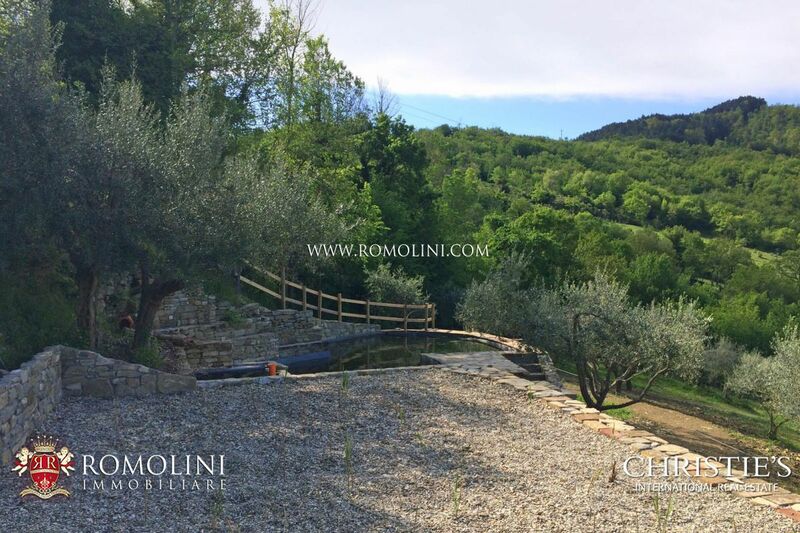 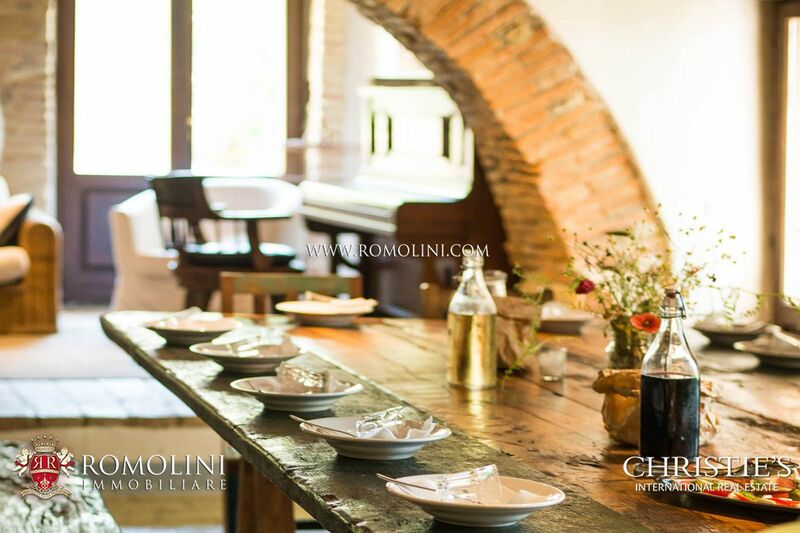 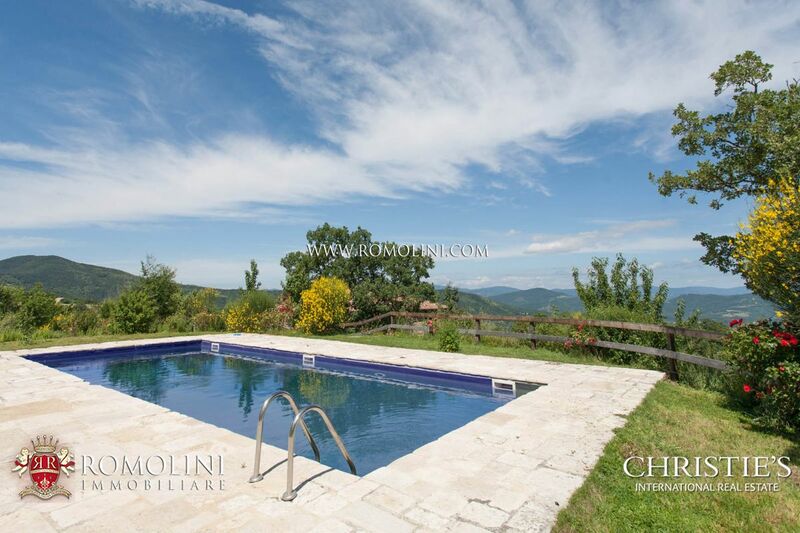 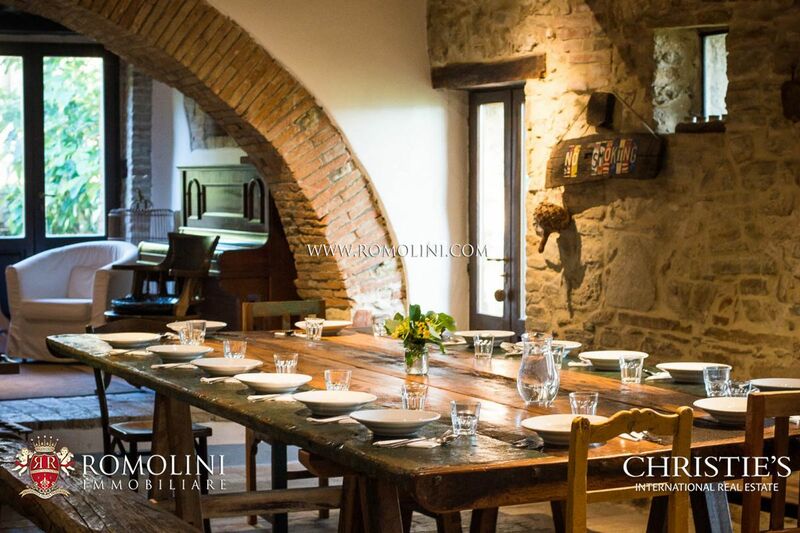 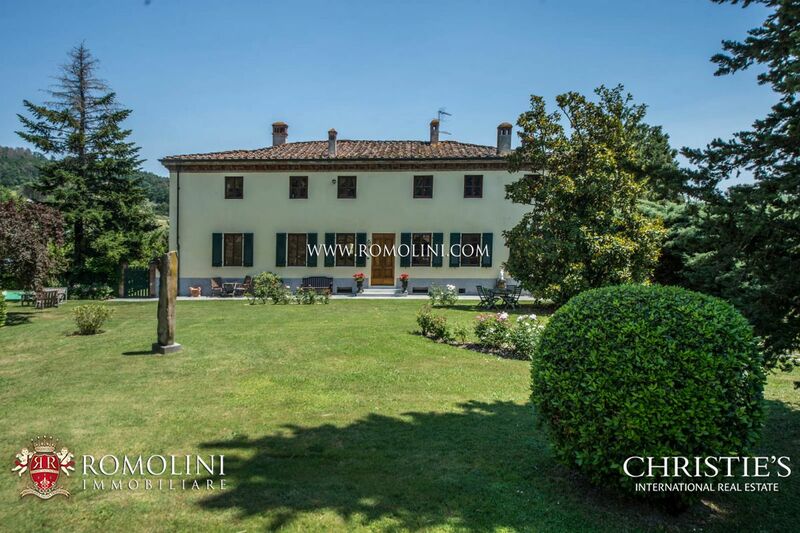 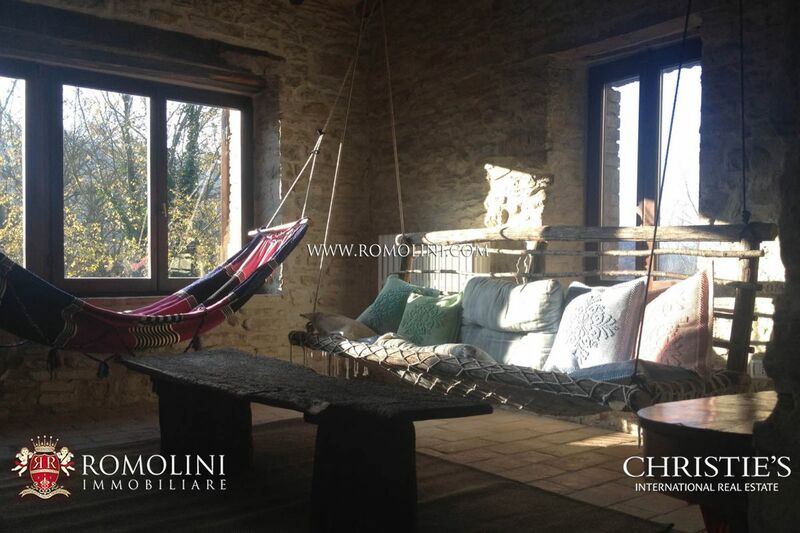 The property, located just 5 km away from the Tuscan border, is surrounded by oak woods, olive groves, a vineyard and boasts breathtaking amazing views. 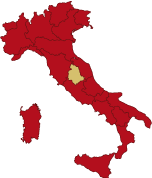 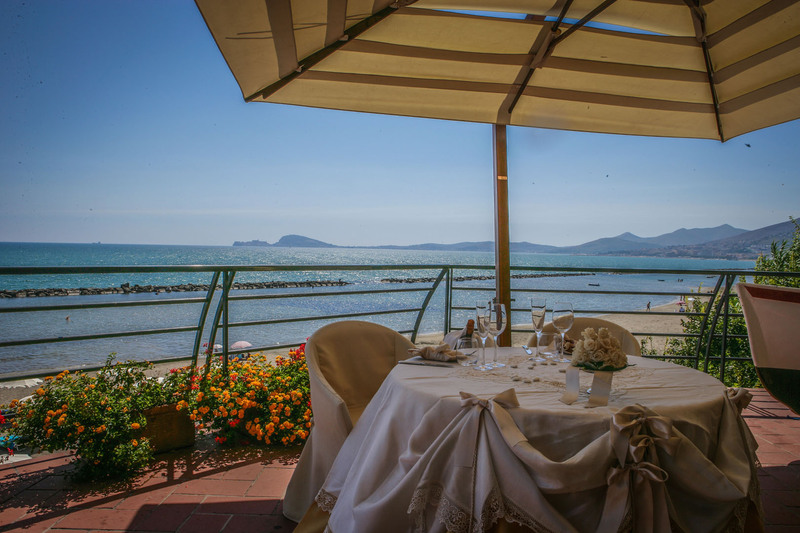 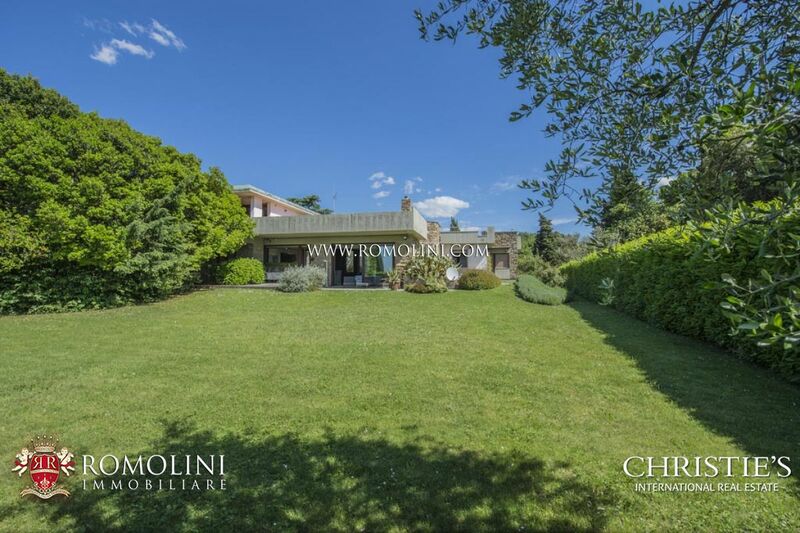 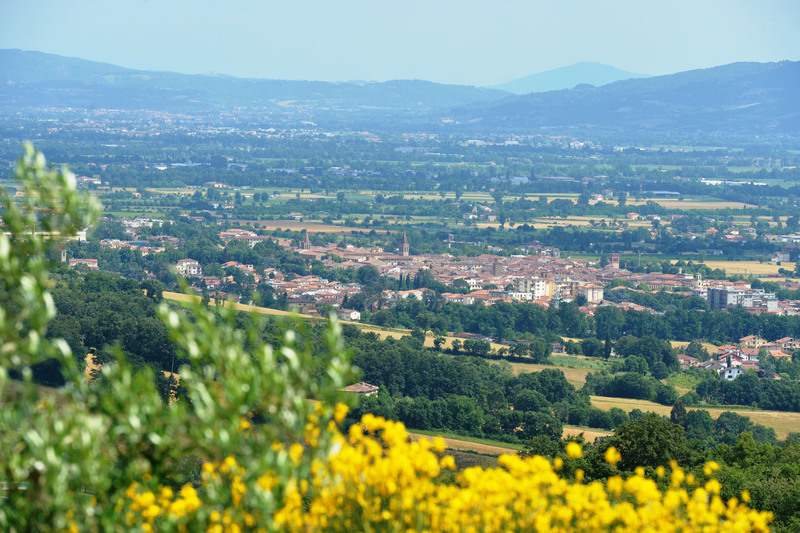 As far as services are concerned, Umbertide can be reached in a very short time frame (9km; 10’) but many other cities of Umbria and Tuscany are within easy reach: Passignano on the Trasimeno Lake (22km; 20’), Magione (23km; 30’), the beautiful Etruscan towns of Cortona (40 km; 35’) and Perugia (29km; 40’), the Roman town of Città di Castello (32km; 30’), Gubbio (38km; 40’), Sansepolcro (46km; 45’), the Franciscan shrine of Assisi (55km; 45’), Montepulciano and its Nobile wine (59km; 1h’) and Arezzo (67km; 1h’). 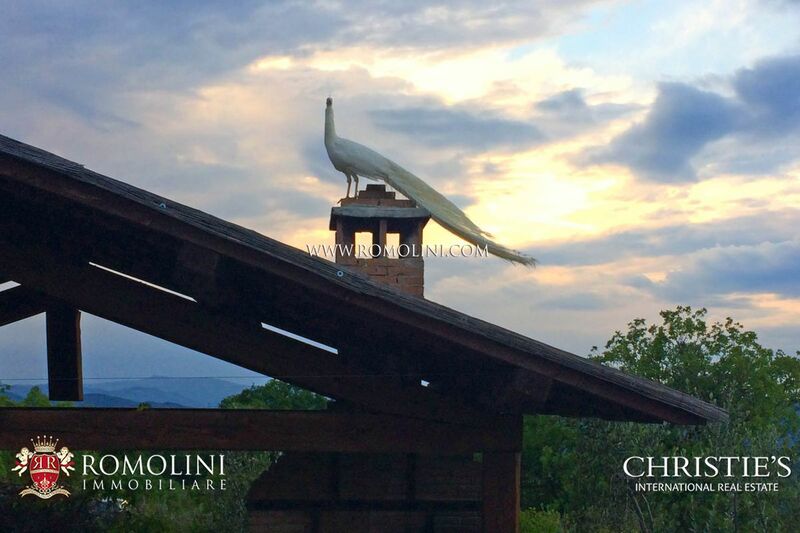 The most convenient airports to reach the property are Perugia Sant’Egidio (40km; 45’), Ancona Falconara (130km; 1h50’), Firenze Peretola (157km; 2h), Pisa Galilei (225km; 2h 45’), Roma Ciampino (221km; 2h 35’) and Roma Fiumicino (239km; 2h 45’). 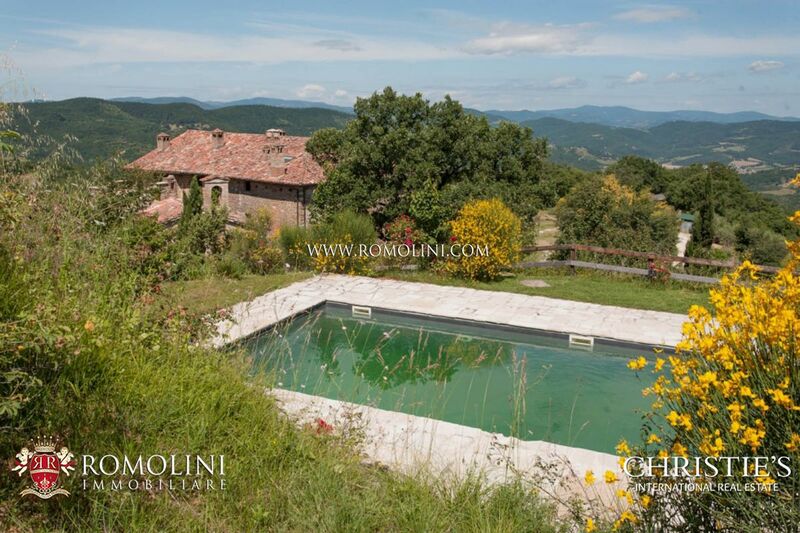 The main farmhouse (about 1,035 sqm) is laid out on three levels, composed as follows. 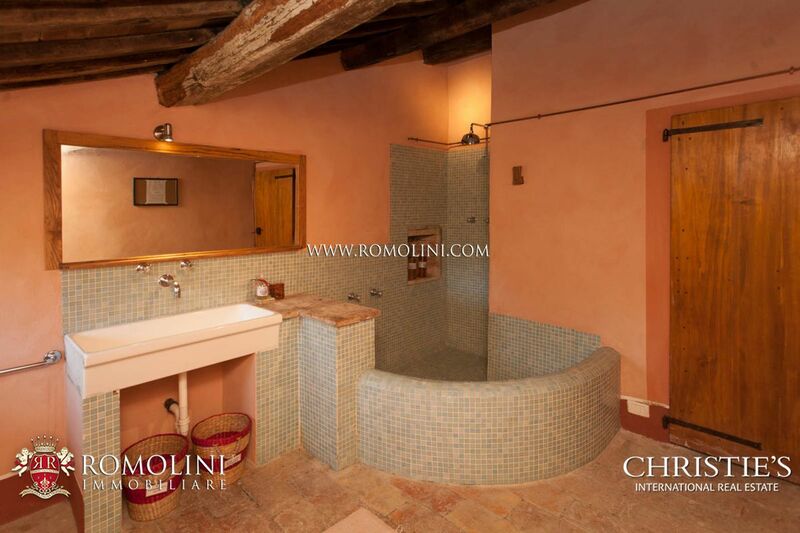 - Second floor: dining room with fireplace and terrace, ample kitchen, a bedroom with en-suite bathroom and three bathroom with a shared bathroom. 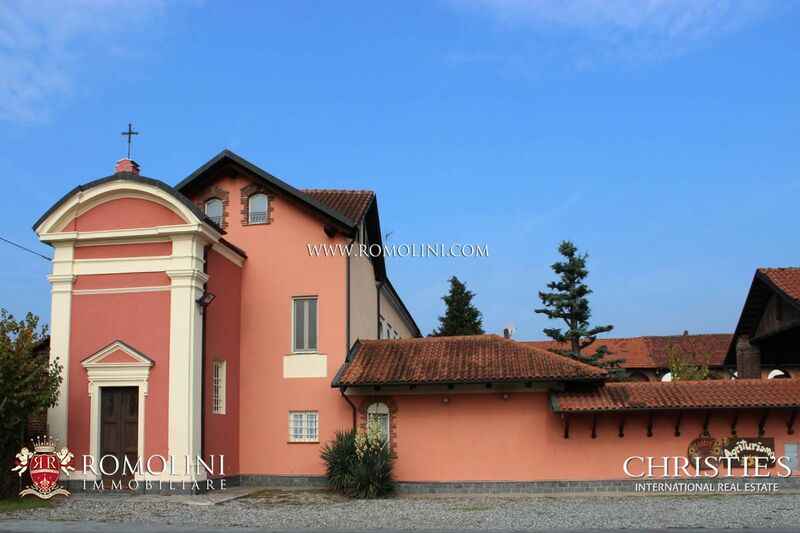 The building is completed by a small annex housing a technical room and a tool shed. 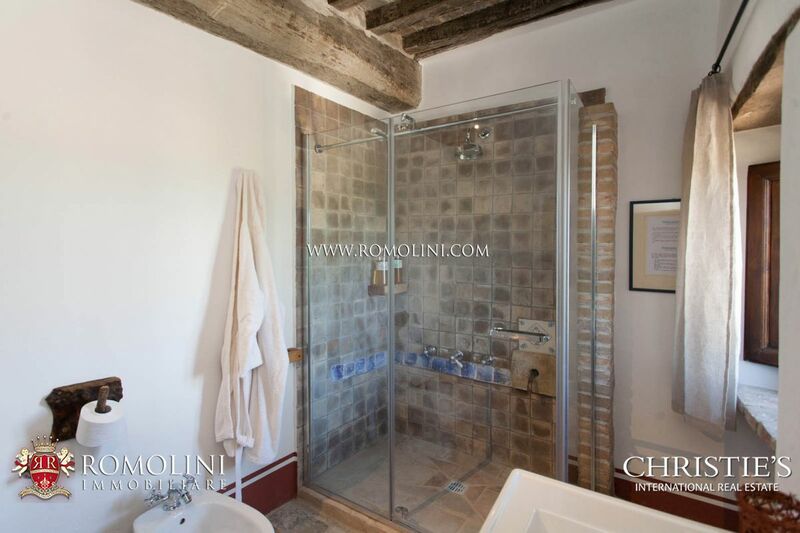 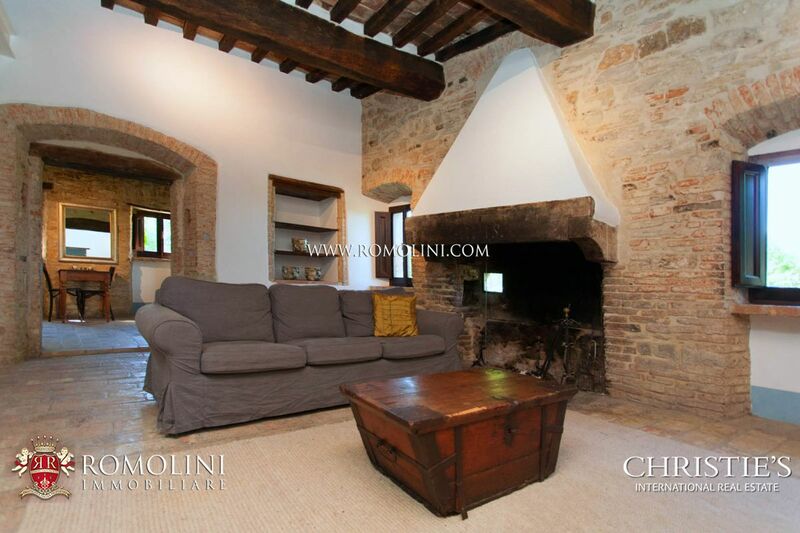 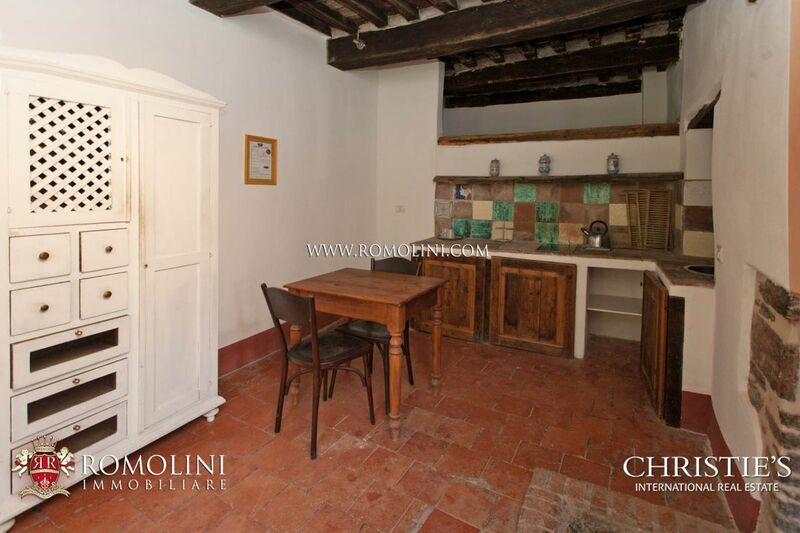 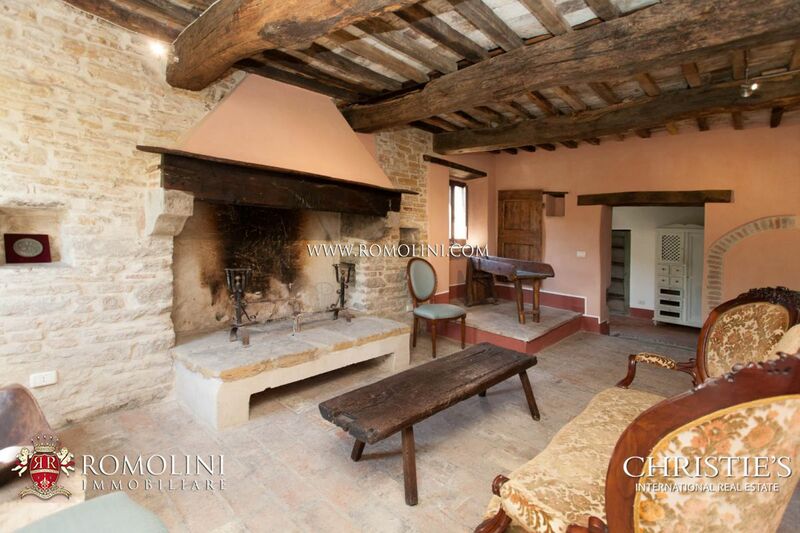 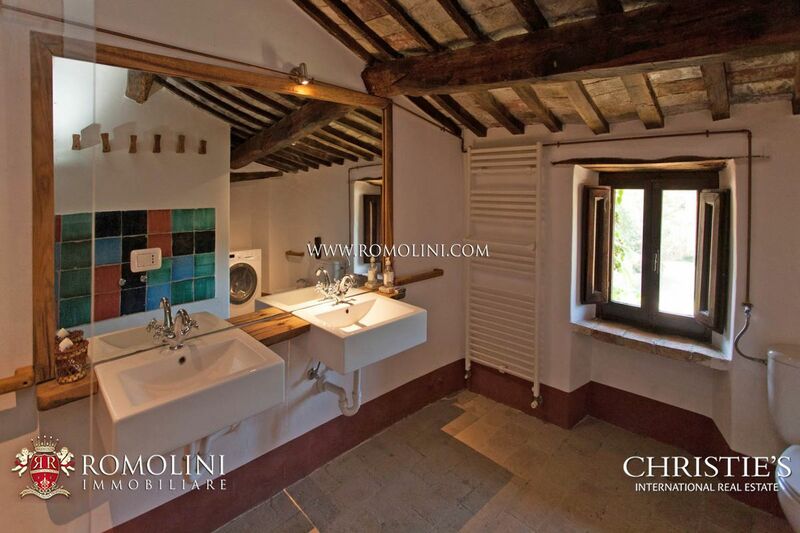 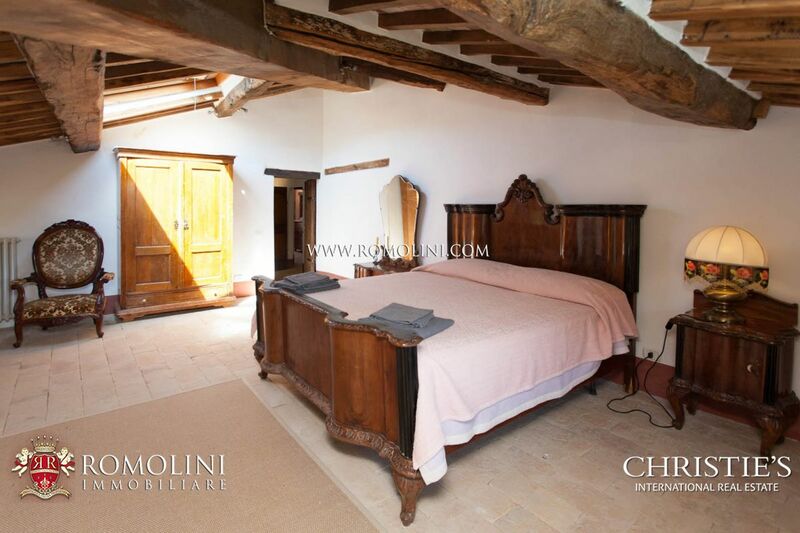 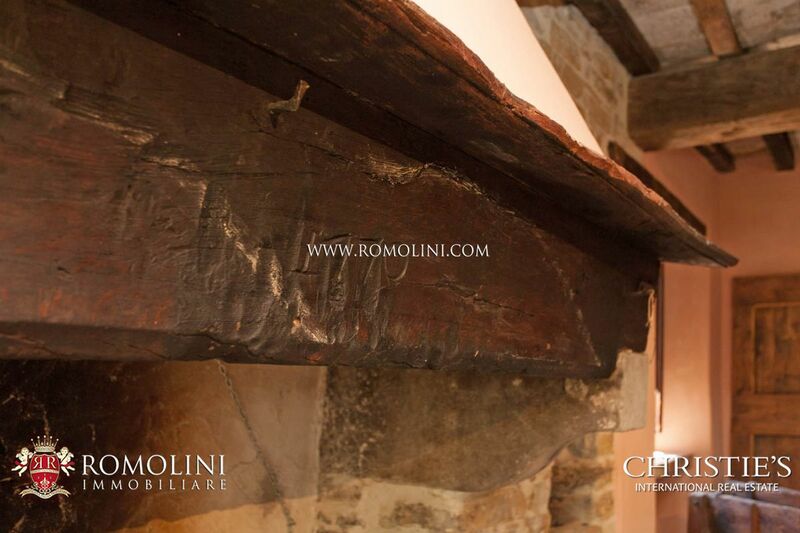 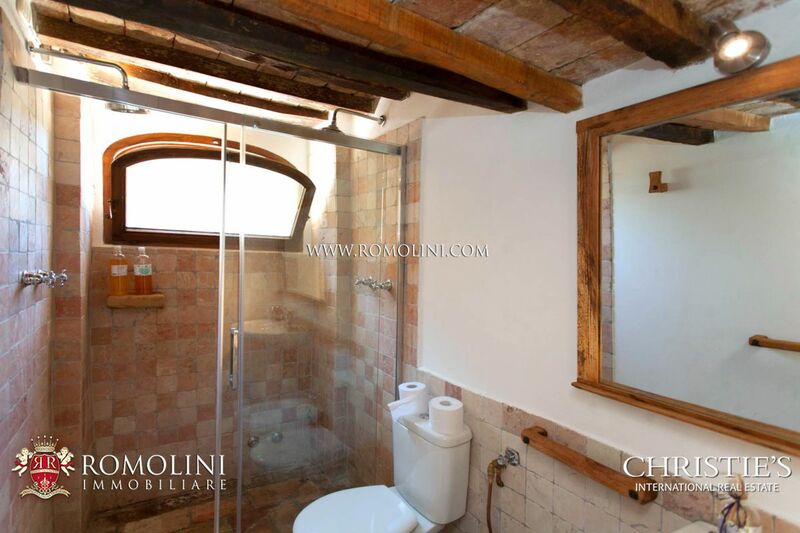 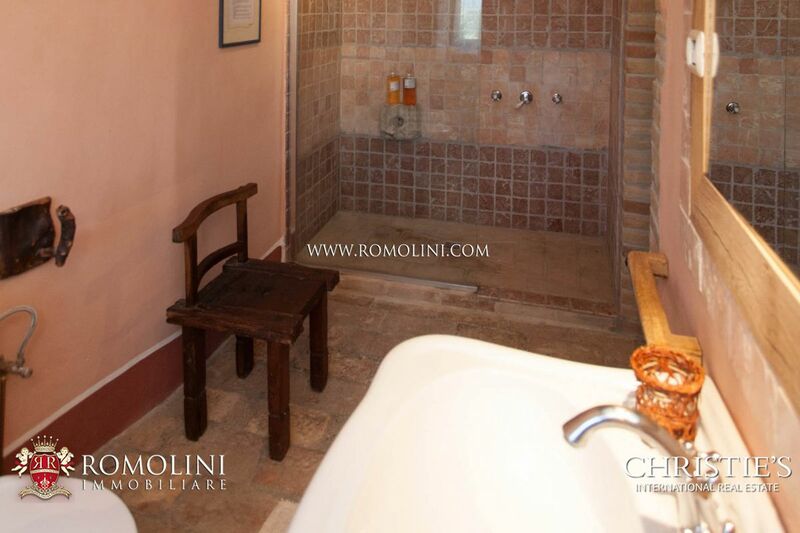 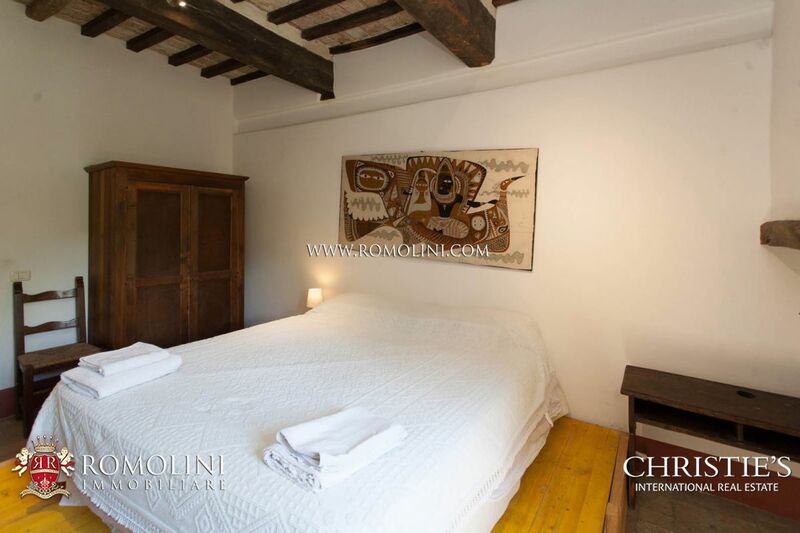 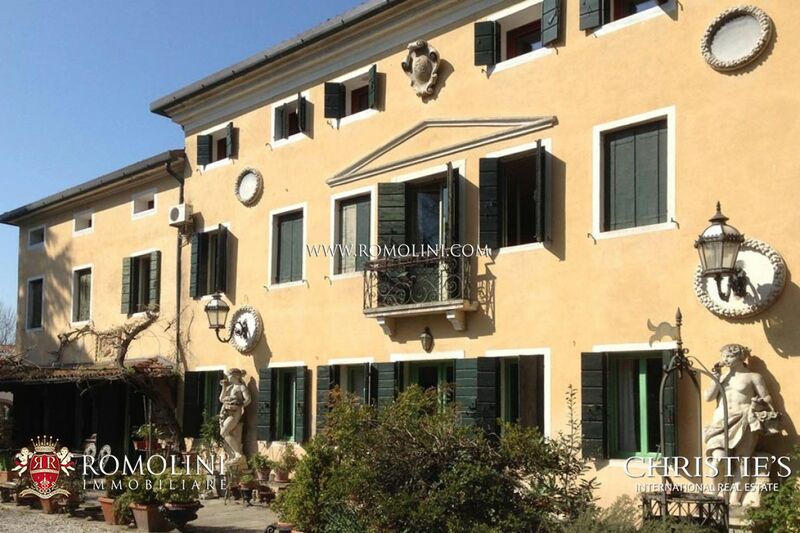 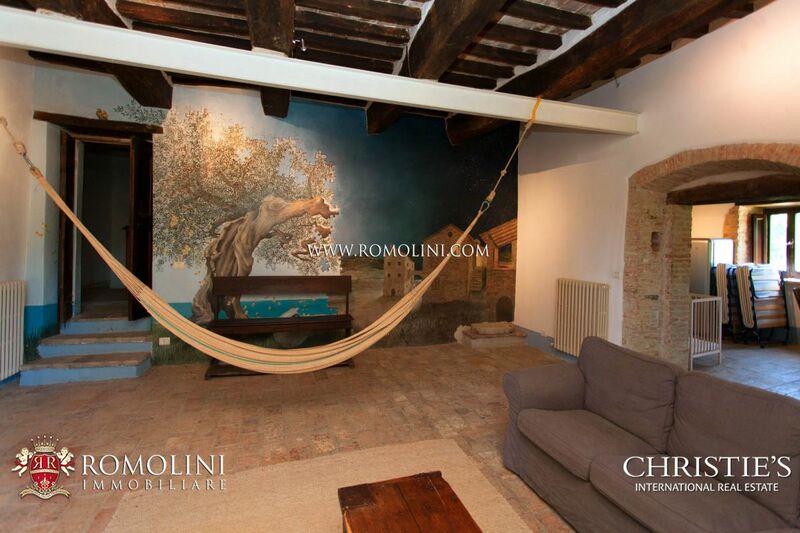 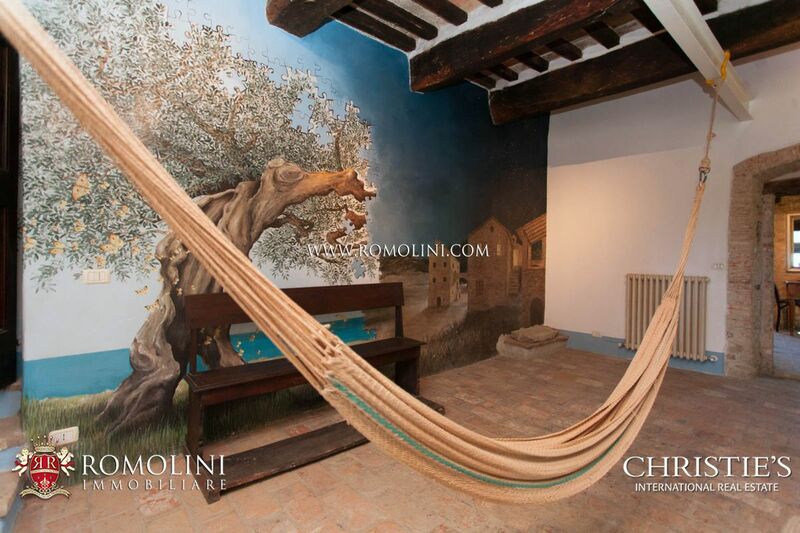 - First floor: kitchen/dining room with fireplace, two bedrooms and a bathroom. 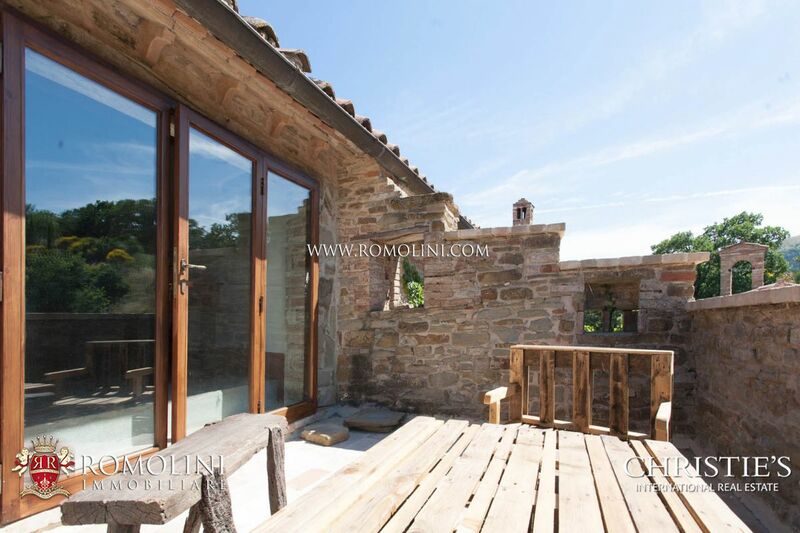 The third building is a large outbuilding of about 280 sqm with floor to ceilings windows, high ceilings, bamboo floorings (perfect for yoga courses) and bathroom. 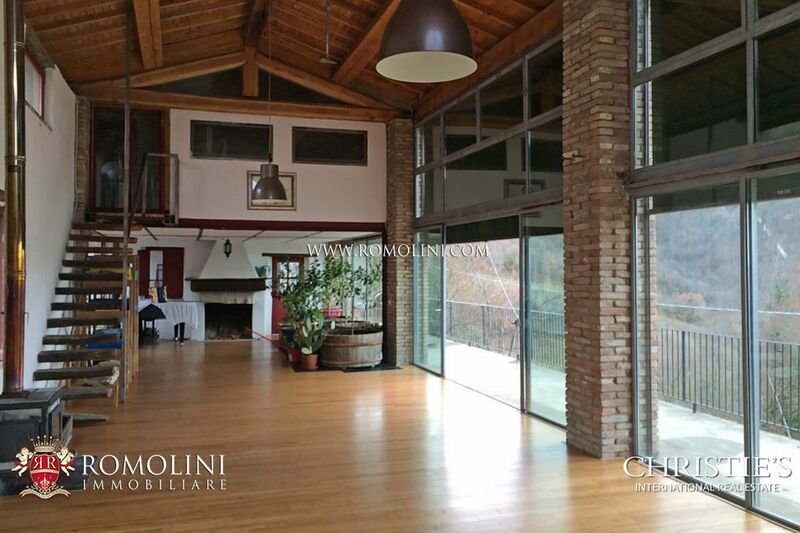 The building is surrounded by a solar greenhouse/orangery. 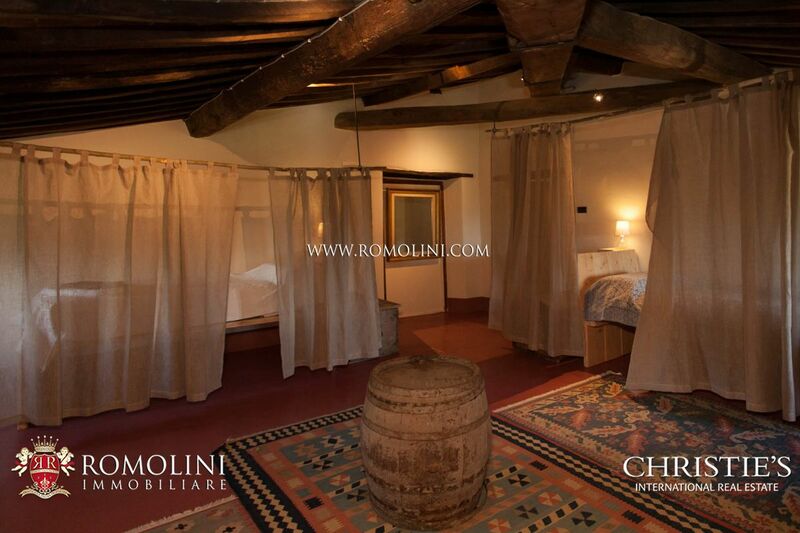 On the ground floor there is a carpenter’s shop and a cellar where you can make wine. 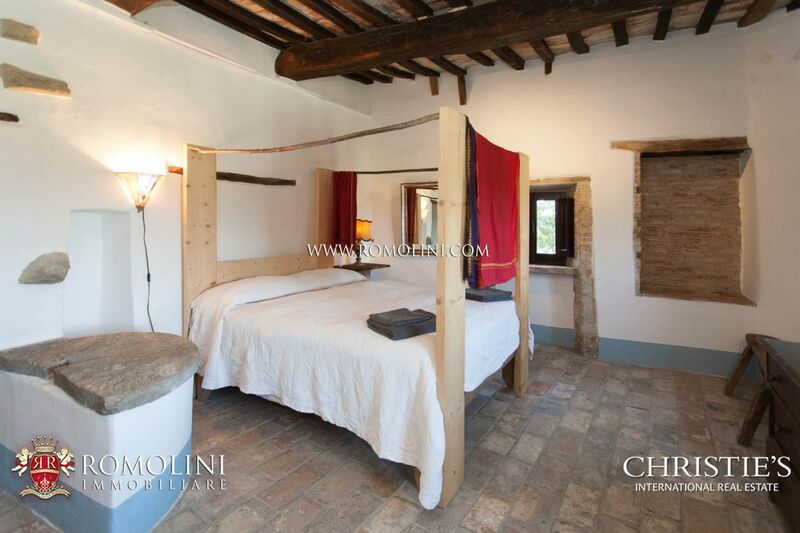 The property dates back to the 15thcentury, originally it was a watching tower and over the years other buildings have been added. 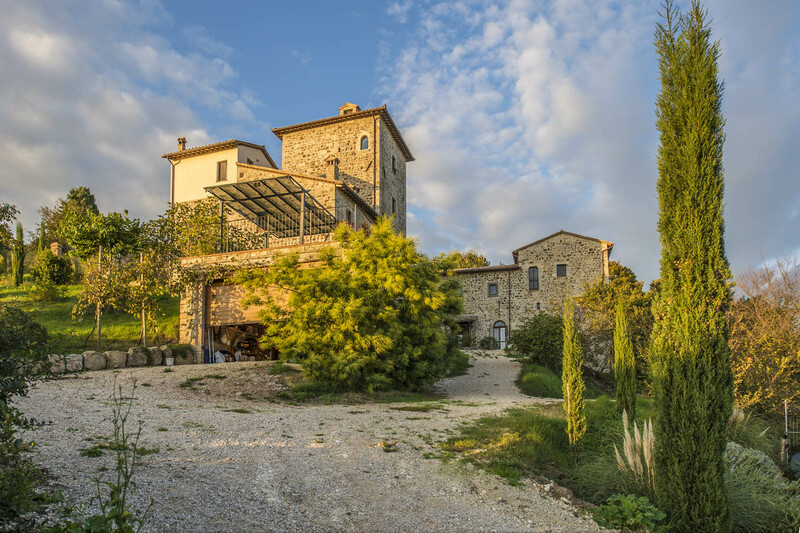 The current owner bought the hamlet in 2012, which was renovated following the principles of renewable energy, recycling of water, biomass heating and bio-construction. 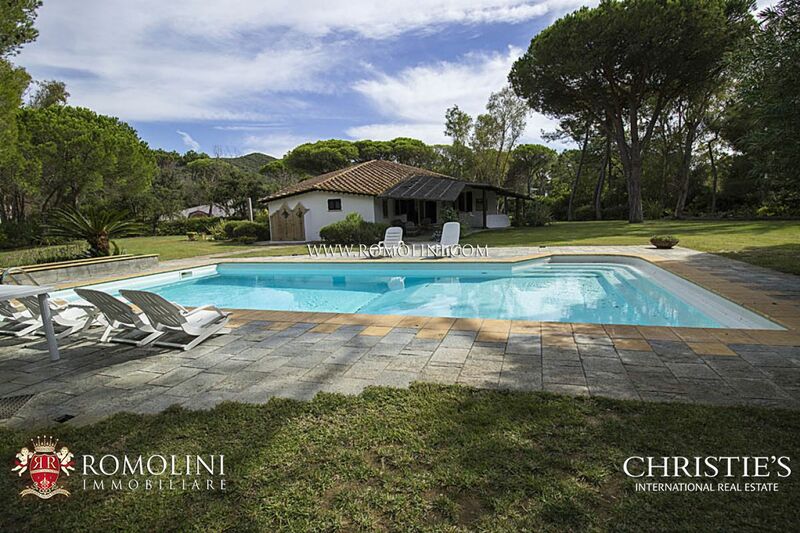 The property includes a saltwater swimming pool (5 x 12 m) and it is surrounded by 39 hectares (96.3 acres) of land, of which 25 ha of woodland, 9 ha of arable and grazing, 2 ha of olive grove, 1 ha of vineyard, and 1 ha of vegetable gardens and fruit orchard. 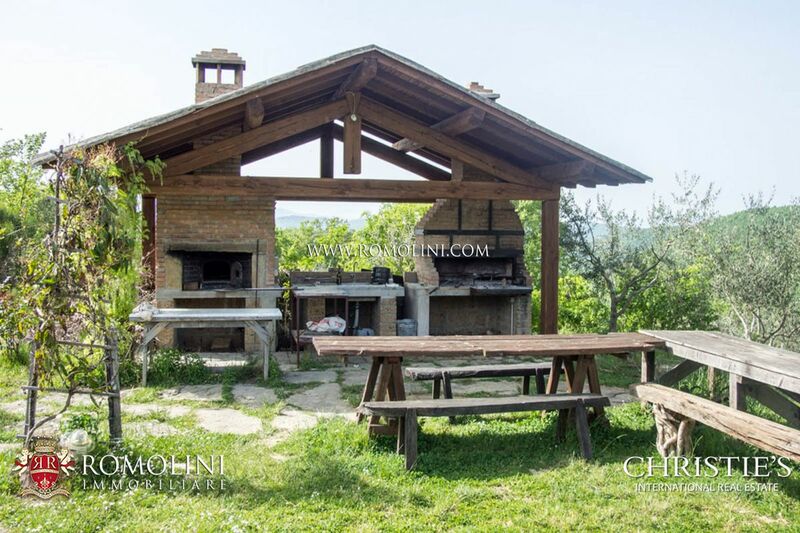 In the farm there are various animals like horses, pigs, chickens, geese and goats; the flora consists of oak trees, juniper trees, chestnut trees, brooms, dog roses, berries and mushrooms. 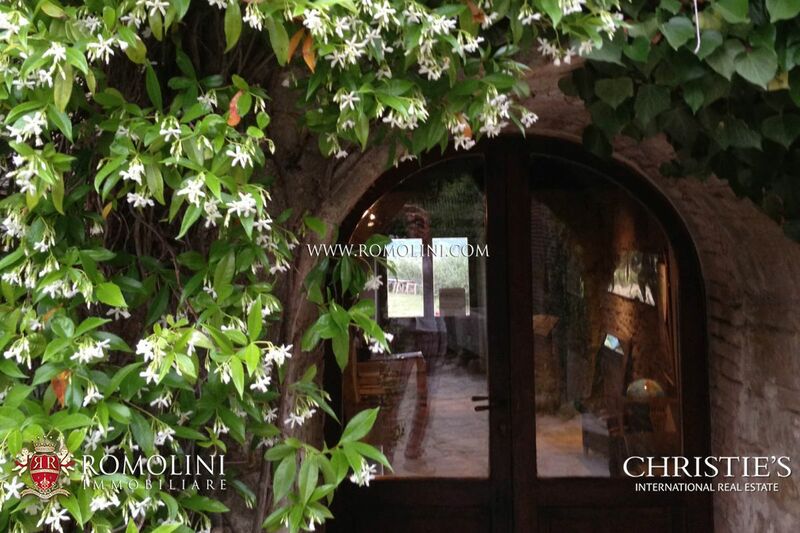 We find several hedges, planted by the current owner, enriching the property. 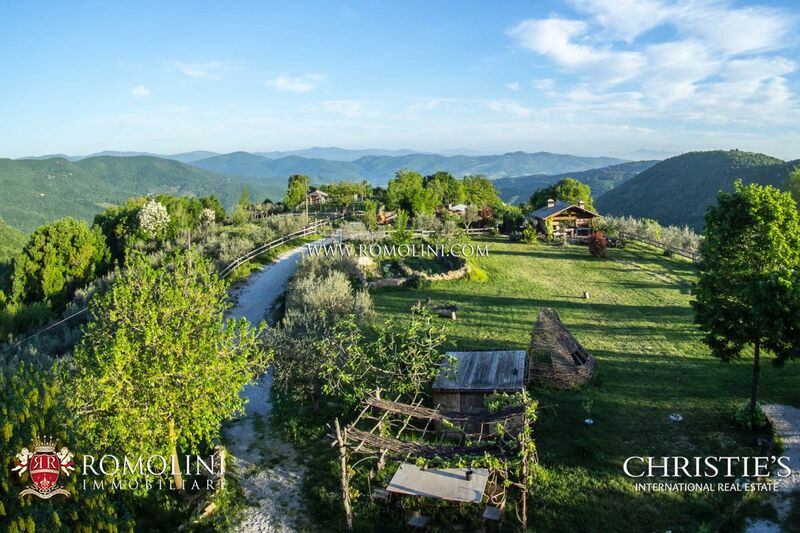 The hamlet can easily be used as a private home for up to three families, with lots of privacy and a great deal of shared external areas. 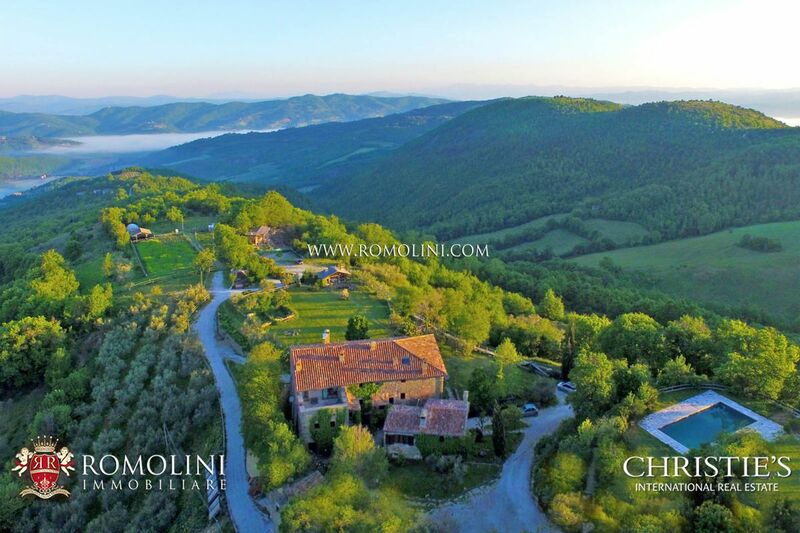 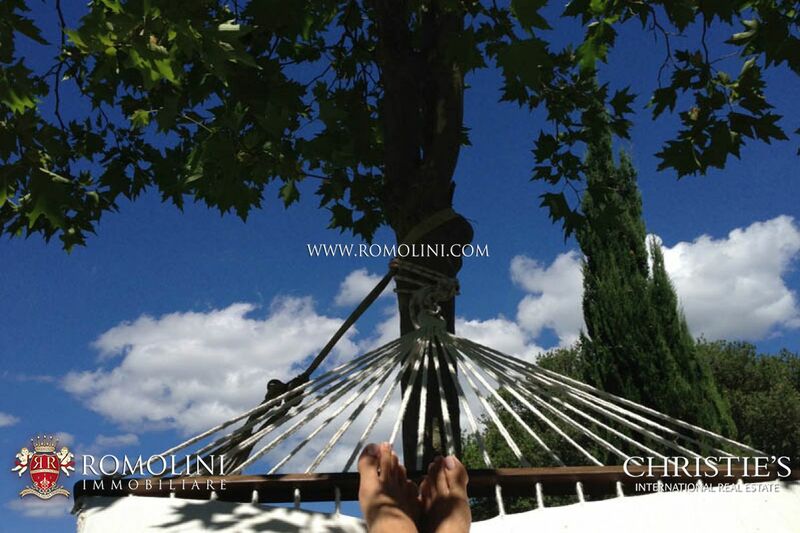 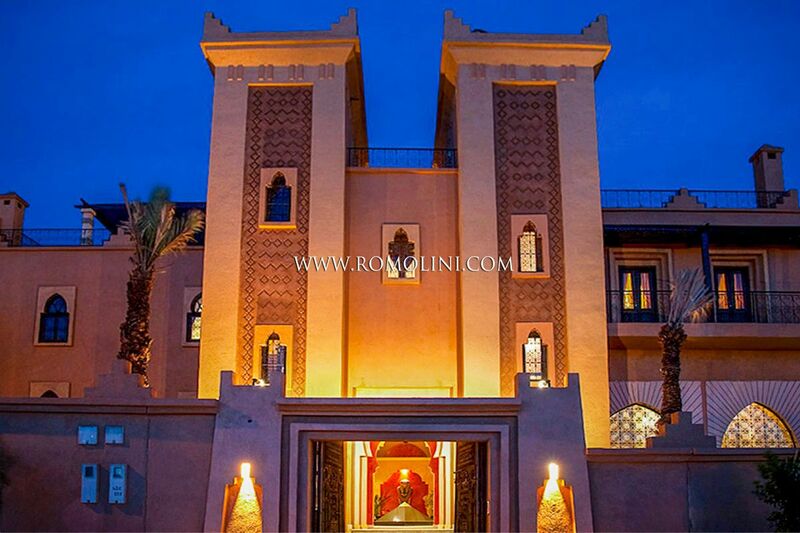 The location of the property at the border between two of the most beautiful regions of Italy and the excellent size of the buildings would also allow renting out portions of the property as stand-alone units for short-term visitors, with an estimated return on investment of 3% a year.